Click here to apply for these positions! The Six Time Atlantic League Champion Somerset Patriots (Bridgewater, NJ), a member of the Atlantic League of Professional Baseball, are looking for qualified individuals to fill internship positions during the 2019 season. Program Description: Members of the Internship Program will be exposed to all facets of a Minor League Baseball organization and will gain practical, in-depth experience from one of the positions listed below. Members will also gain valuable experience from a season long learning project that covers various aspects of sport management, including grass roots marketing, theme night creation and execution, ballpark entertainment, sales, video production, and business presentations. Help with resumes and interviewing will also be covered. Prospective candidates will be asked to note their preferred choice of position when applying, however, the Patriots will ultimately decide the position to offer you that best suits your skills and our needs. Ideal candidates will be juniors or seniors in college and/or recent graduates; however, freshman and sophomores are also welcome to apply. Compensation: $750/month and college credit can also be earned if applicable to the student. Time Frame/Work Schedule: (May 2019 – September 2019): Interns are expected to begin their internship as soon as they are done with classes for the spring semester and stay until one week before school starts the following year. Graduated seniors are encouraged to stay until the season has concluded. Recent college graduates are expected to work from the beginning of the season (April) until the season has concluded. Hours are full time. Interns are required to work the same amount of days and hours as the full time Front Office Staff. There are 70 home games, additional outside events, and regular non-game day office hours that you will be required to work. This includes nights, weekends and holidays. Interns will be required to sign a document indicating their start/end dates prior to acceptance of the position (FIND ATTACHED ON PAGE THREE). No vacations will be permitted during the season. Assist the Front Office with all ticketing aspects at ballpark. Duties may include but are not limited to sale, maintenance, and fulfillment of all tickets (season tickets, day of game, hospitality suites, and groups). Candidates will also assist with all day-to-day operations of the ticket office including, but not limited to, working with customers and other duties as assigned. Candidates will also track marketing activities for the box office as well as maintain statistical data that will assist us in our overall marketing plan. Candidates will also report directly to the Vice President of Ticketing for the execution of group sales responsibilities. These may include, but are not limited to, order fulfillment, help administering the Somerset Patriots Kid’s Club, game day preparation of group areas around the ballpark, customer service, game day support in various areas, sales, lead generation, theme night development and execution, and administering birthday parties and other group areas in the ballpark during games. Excellent organizational, computer, communication and customer service skills are necessary. Experience with ticketing a plus but not required. All majors are welcome to apply. Apply for this position by clicking here. Assist the Senior Vice President of Marketing with all of our social media pages. Responsibilities may include administering content to engage our followers such as contests and giveaways, promoting upcoming games and events, posting pictures / video during home games. Other responsibilities may include developing ideas to generate new followers on our social media pages. Candidates will need to be proficient in social media platforms, including: Facebook, Twitter, Instagram, Snapchat, LinkedIn, Pinterest, Tumblr, Google+, Reddit and prepared to learn how to utilize the Patriots mobile app. Excellent organizational skills, Photoshop and iOS skills are necessary. Apply for this position by clicking here. Candidates will be assisting the Director of Promotions and Events with day of game promotions and special events. Duties will include assisting with setting up and running on-field promotions on game days. Candidates will also play an integral role for in-game entertainment, including researching and preparing new scoreboard graphics, videos and music. There will also be special event management - including our annual Golf Outing - and more that will need assistance. In-game responsibilities will also include the capturing of sponsored content and signage, promotions and group outings for proof of performance purposes. Assist the Senior Vice President of Marketing with data entry in marketing every Somerset Patriots game via event loading websites, and helping with the team’s mobile app, creating promotions, MyReward codes and more. Interns will also put together proof of performance packages for sponsors and group clients throughout the season. Excellent organizational skills and computer skills are necessary. All majors are welcome to apply. Apply for this position by clicking here. Assist the Vice President of Public Relations and Media Relations Manager with all aspects of production of content for SPN.tv and social media accounts. This includes camera work and directing of live game broadcasts as well as production and editing for individual clips, shows and features. Responsibilities also include filming during games and creation of highlight clips for postgame recap videos. Ideal candidates should have experience with Final Cut Pro X. Experience with video production is required. Knowledge of Adobe Premier, Photoshop, After Effects and Flash are will be prioritized. Journalism or film majors are preferred, however, all majors are welcome. Apply for this position by clicking here. Assist the Vice President of Public Relations and Media Relations Manager with all aspects of media, public and community relations. Duties will also include taking pictures and videos during the games, sponsor relations, social media engagement, proof of performance collection, press releases, feature stories, tracking of information for the team, press box needs, daily game notes, mascot coordination, community events, and other duties as assigned. Excellent organizational, management, sales and computer skills are necessary. Writing samples may be requested upon interview. Journalism, Communications and Public Relations majors are preferred, however, all majors are welcome to apply. Apply for this position by clicking here. Assist the Vice President of Operations with daily operations of TD Bank Ballpark. Stadium Operations will be responsible for the general upkeep of the ballpark on non-game days and game days. This includes setting up the ballpark for all events and all aspects of making sure the facility is clean and operational and supplies are fully stocked. Other responsibilities include, but are not limited to, management and scheduling of ushers/ticket takers, parking employees, retail store employees, and game day merchandise hawkers. Excellent organizational, time management, and computer skills are necessary. All Majors are welcome to apply. Apply for this position by clicking here. Candidates will work closely with the Vice President of Public Relations and the Broadcasting/ Media Relations Manager on a daily basis to help execute all of the requirements of the media relations department. Broadcast candidates must have at least one year experience broadcasting baseball at either a professional or collegiate level. Apply for this position by clicking here. 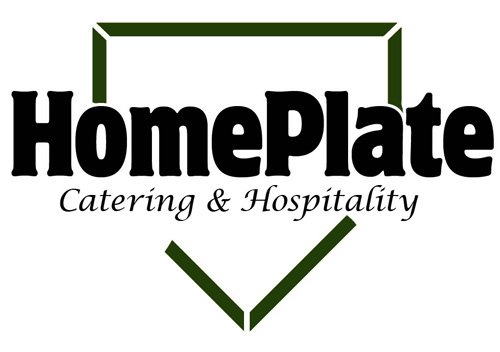 HomePlate Catering and Hospitality, The official hospitality provider for the Somerset Patriots Baseball Team in Bridgewater, NJ has opened up various Internship positions for the 2019 Season. An internship with HomePlate Catering and Hospitality will allow candidates to learn several different aspects of running Concessions and Catering for a large multi-purpose facility. Interns will have their hands in every aspect of the organization, learning first-hand what it takes to run a large-scale, professional operation. This will include everything from product costs and sales forecasting to scheduling, leading and running entire concessions teams for games and outside events. Prospective candidates will be asked to note their preferred choice of position when applying, however, HomePlate Catering and Hospitality will help determine a position that best suits your skills. Ideally, candidates will be college students that are interested in learning management and operating skills related to the facility and hospitality industry. Hours are full time and include nights, weekends, and holidays. There are 70 home games from April through September along with several other events during road trips that candidates will be required to work. Compensation: $8.85/hour (depending on experience) and college credit can also be earned if applicable to the student. Some positions can lead to full-time positions during the internship or to positions within the company at the completion of the internship. Time Frame: (April 2019 – September 2019): Interns are expected to begin their internship in early April or as soon as they are done with classes for the spring semester and stay until one week before school starts the following school year or until the end of the season if you are a graduating senior. 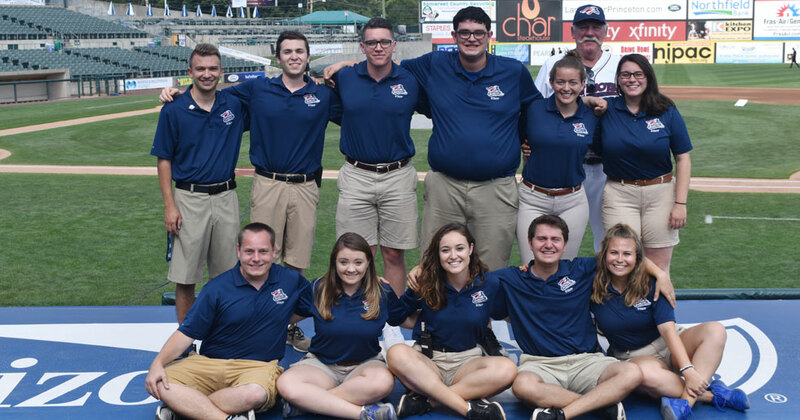 It is expected that interns will work a full work schedule during the summer and work ALL of the Somerset Patriots home games. Assist the Sous Chef in game day operations. Duties include but are not limited to: preparation of player meals; preparation of catering foods including suites, picnics, diamond club and party deck meals. Interns will also help ensure State of New Jersey and Township Health Department Regulations are followed including product rotation and sanitation. Work with Catering Team Members in stocking of suite kitchen and other catering areas to ensure that they are set up and broken down properly. Non game week projects include food costing, scheduling, purchasing, deliveries and sales forecasting. Apply for this position by clicking here. Work with the Operations and Catering Managers to assist in the management of the concessions and catering areas. Duties include but are not limited to receiving and distributing all product orders; monitoring sales and daily sales reports; maintaining a receiving log; oversee all group areas and team members; scheduling game day team members; ensuring all food is prepared to both company and safety standards; contacting clients; sales forecasting; event planning. On off days interns will be responsible for the cleaning, up keep, and preparation of all areas for the next home stand and to comply with all health department standards. Apply for this position by clicking here. Assist Operations Manager, Sous Chef and Catering Manager in scheduling of all team members. Processing new hire packets and verifying with the payroll company that paperwork is complete and accurate. Work with team members in pre-season training and orientation. Coordinating the non-profit organization program which includes recruiting, scheduling, training, and payment processing. Manage check-in and uniform distribution on game days. Conduct team member counseling as needed. ​Apply for this position by clicking here. Work with Office Manager to complete all accounting work on a daily, weekly and monthly basis. This includes, but not limited to, cash reports, payroll, H/R functions, A/P, A/R, daily inventory reports, month ending reports, and tax reports. On game days, duties will include preparing bank and inventory sheets for concession team, POS and inventory, and reconciliation of Non-Profit Groups stand sheets. Knowledge of QuickBooks is beneficial to the position. ​Apply for this position by clicking here. Intern Candidate’s resumes will be reviewed once submitted to the site. Interviews will be done on site at TD Bank Ballpark in Bridgewater, NJ. If you are contacted for an interview, you will be asked to provide some dates and times that you have breaks in classes that will allow you to come to TD Bank Ballpark for an interview.